SCHOOLS across South Oxfordshire and The Henley College are closed today (Monday) due to snow. The icy conditions have made their sites unsafe and pupils have been told to stay at home. In Henley, Gillotts School and the college both had messages on their website announcing they would be shut. Catharine Darnton, the school’s headteacher, said: "Due to the snow, ice and freezing temperatures which are forecast to continue into tomorrow, we will be closed today." In the meantime, staff will focus on clearing the site with the aim of being open tomorrow (Tuesday). A statement on the college’s website said: “The college site is deemed to be unsafe and therefore closed, all staff and students will be alerted via text message. Elsewhere, Chiltern Edge Secondary School in Sonning Common, Nettlebed Community School and Checkendon, Ewelme, Lewknor and Watlington Primary School are also closed. Langtree Secondary School in Woodcote is also shut today because its phone lines and heating system are down due to a power cut. All are expected to reopen tomorrow. All other schools in the Henley area will be open today as usual. 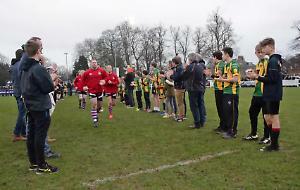 There was heavy snowfall across South Oxfordshire on Saturday night which caused several events and sporting fixtures to be cancelled. Among these was the annual Railway Nativity hosted by Sir William and Lady McAlpine at their Fawley Hill estate. The couple said the weather had made accessing the site too difficult. Today the snow and ice had almost melted but pedestrians should take care using the pavements. There are no reported delays on the roads.